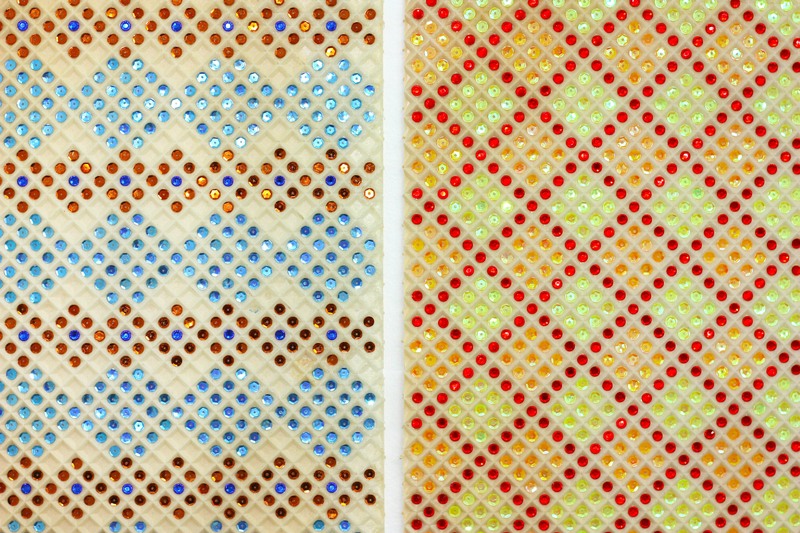 Untitled (embellished wafers) detail. 150x80cm. Wafers, sequins, plastic rhinestones and glue.